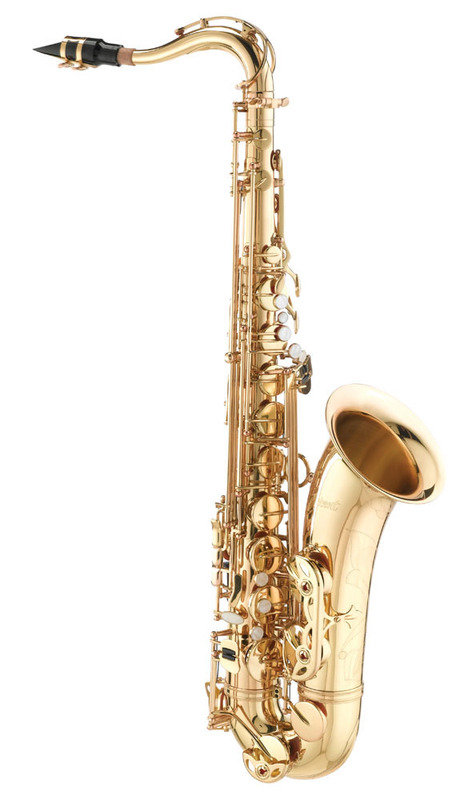 Bb tenor saxophone with yellow-brass body and lacquer finish. Full rib construction offers more stability for fewer adjustment problems and added weight for tone production. Adjustment screws on the lower key stack for easier maintenance. Contoured palm keys for easier, more comfortable reach. Articulated C# key and high F# key offer improved facility and expanded range. Adjustable thumb rest for added comfort. Detachable bow and bell simplify adjustment and repair. Engraved bell for professional appearance. Includes mouthpiece, cap, ligature, reed, cork grease, strap and deluxe case.